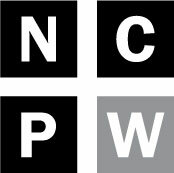 The Carolina Issues Poll is a quarterly voter survey conducted by NC Policy Watch that asks different questions on topics of importance to North Carolinians and their elected officials. In the latest survey, N.C. Policy Watch sought to gauge voter attitudes on several state tax policy issues, including a plan by state Senate leaders to cut income taxes on the wealthiest North Carolinians, and the question of extending the quarter cent sales tax hike first adopted in 2001. The poll also gauged voter attitudes on other state tax issues including an earned income tax credit and proposals to tax real estate transfers and realtor fees, as well as the issue of public subsidies for private colleges and universities. A detailed discussion of the poll results is in this week’s Weekly Briefing. The Carolina Issues Poll was conducted by the private firm of Public Policy Polling. 504 North Carolina voters were surveyed on July 5. The survey has a margin of error of ± 4.3%. Complete results can be found by clicking below. These include exact question wording and “crosstabs” broken down by gender, party affiliation, race, and age. Click here for the poll results.